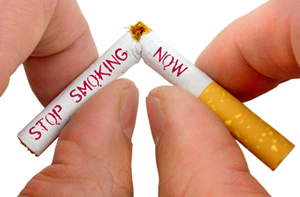 Have you tried to quit smoking but just can't seem to overcome that inner drive that seems to control you? Has it lowered your self esteem that you just can't win the fight? Not to mention the toll it's taking on your physical body as you absolutely know the health risks to smoking. Worse yet, who are you hurting by not overcoming this life challenge? Stop beating yourself up!!!!! The truth is that trying to fight this conflict with willpower only disengages your subconscious mind. The harder you try the more resistance you create. The truth is you cannot resolve a problem within the same energy it was created. There is a part of you who wants desperately to stop smoking, yet there is also a part of you who doesn't want the same. It seems illogical and of course it is as the subconscious mind is literal not logical. Did you know that the subconscious mind doesn't comprehend negative words like don't and no? 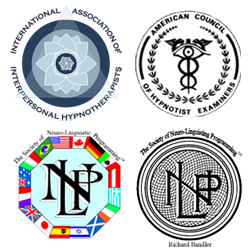 Using hypnosis combined with powerful NLP (Neuro-Lingustic Programming) techniques and working with a well-trained Hypnotherapist are solutions that have proven results. Engaging your subconscious mind to the task will give you access to your most powerful inner resources of your mind to help over come conflicting desires. If you've had enough and you are really ready to be smoke free contact me and I will show you how to employ the power within your subconscious mind to help you reach this worthy goal. This one is all about you!